Figueira da Foz is a city located in Coimbra district at the mouth of Mondego River. 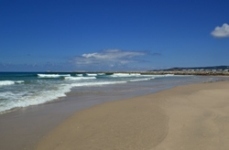 There are several beaches with great surf spots, which are less crowded than other famos surfing places in Portugal. This is a nice holidays location for surfers and also family holidays. In summer the city is full of people, there are good restaurants offering traditional meals and delicious sea food. Figueira is also known with one of the biggest casinos of the Ibarian Peninsula. Figueira da Foz is a great surfing location. This is kind of a secret paradise of surf in Portugal, because there are not so many crowds, but the waves are very good. 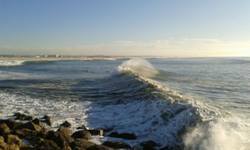 One of the longest right hand waves in Europe is in Figueira da Foz, the surf spot is called Buarcos. Favourite waves with great consistent are at Cabedelo and there are other surf spots to enjoy fun and surf in Figueira da Foz.